Why choose MyTub for heatrae electromax electric boilers? MyTub service is second to none in the UK, no other company aims to fulfill your requirements like MyTub does. We have fully trained and experienced staff ready to take your order, find the nearest branch with the goods ready on the shelf to deliver to your address and ensure you get your order delivered to you as quick as humanly possible. We keep you informed of the progress of your order, good or bad news. Our experienced team offer pre sales service to answer any questions you have relating to the products by liaising with the manufactures. All our heatrae electromax electric boilers products are genuine branded goods. If the item is in existence and on a UK shelf we will source it for you, in some cases when the part has even been obsolete for quite some years. Contract pricing and quantity discounts available on heatrae electromax electric boilers, our contracts department can also aid in specification if needed. combined electric flow boiler and electrically heated domestic hot water store. electromax is a fully packaged unit and comes factory fitted with electric boiler, duplex stainless steel hot water cylinder, and pre-plumbed factory fitted circ ..
Heatrae electromax solar 185l rad e/west electromax provides efficient electric wet central heating and domestic hot water with the comfort and control of gas-powered systems, making it a perfect solu ..
Heatrae electromax solar 185l rad model electromax provides efficient electric wet central heating and domestic hot water with the comfort and control of gas-powered systems, making it a perfect solut ..
Heatrae electromax solar 185l ufh e/west electromax provides efficient electric wet central heating and domestic hot water with the comfort and control of gas-powered systems, making it a perfect solu ..
Heatrae electromax solar 185l ufh model electromax provides efficient electric wet central heating and domestic hot water with the comfort and control of gas-powered systems, making it a perfect solut ..
Heatrae electromax solar 220l rad e/west electromax provides efficient electric wet central heating and domestic hot water with the comfort and control of gas-powered systems, making it a perfect solu ..
Heatrae electromax solar 220l rad model electromax provides efficient electric wet central heating and domestic hot water with the comfort and control of gas-powered systems, making it a perfect solut ..
Heatrae electromax solar 220l ufh e/west electromax provides efficient electric wet central heating and domestic hot water with the comfort and control of gas-powered systems, making it a perfect solu ..
Heatrae electromax solar 220l ufh model electromax provides efficient electric wet central heating and domestic hot water with the comfort and control of gas-powered systems, making it a perfect solut ..
Heatrae electromax solar 250l rad e/west electromax provides efficient electric wet central heating and domestic hot water with the comfort and control of gas-powered systems, making it a perfect solu ..
Heatrae electromax solar 250l rad model electromax provides efficient electric wet central heating and domestic hot water with the comfort and control of gas-powered systems, making it a perfect solut ..
Heatrae electromax solar 250l ufh e/west electromax provides efficient electric wet central heating and domestic hot water with the comfort and control of gas-powered systems, making it a perfect solu ..
Heatrae electromax solar 250l ufh model electromax provides efficient electric wet central heating and domestic hot water with the comfort and control of gas-powered systems, making it a perfect solut .. 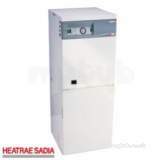 This electromax electric 9 kw boiler, 95022203, is a combination of an electric boiler and a water storage cylinder, it comes with a programmable room thermostat to accommodate a wide range of heating .. This electromax solar underfloor heating & store, 95022303, is a combination of an electric boiler and a water storage cylinder, it comes with a programmable room thermostat to accommodate a wide rang .. This electromax solar 6kw electric boiler & domestic hot water store, 95022204, is a combination of an electric boiler and a water storage cylinder, it comes with a programmable room thermostat to .. This electromax solar 6kw underfloor heating electric boiler & store, 95022304, is a combination of an electric boiler and a water storage cylinder, it comes with a programmable room thermostat to ..